While trying to cook can already be more of a challenge than many of us may find ourselves up for Intimidated by Cooking? 6 Simple Tips to Conquer Your Kitchen Fears Intimidated by Cooking? 6 Simple Tips to Conquer Your Kitchen Fears Eating out is awesome, but it doesn’t compare to the experience of cooking a meal from scratch. But it’s far too common for people to hold a phobia of the kitchen. 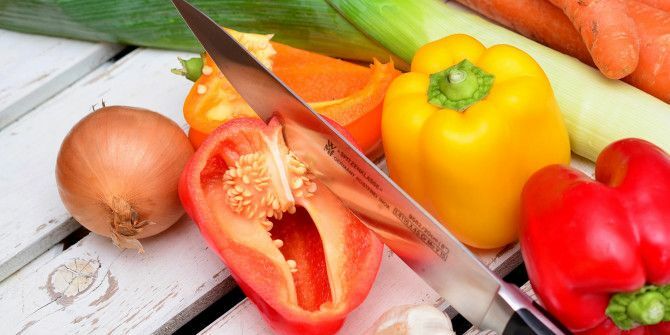 Read More , cooking can be especially difficult for those of us living with diabetes. After all, this ailment — whether Type 1, Type 2, or even Gestational Diabetes — often has strict nutritional restrictions. For example, eating an excess of carbohydrates can trigger blood sugar spikes, which may be fatal. These nutritional needs can make cooking incredibly difficult. Resources, apps, and websites teaching people to cook Where to Find Free Online Cooking & Baking Classes Where to Find Free Online Cooking & Baking Classes Where do you go if you want to approach cooking and baking systematically? Most online cooking courses are paid, but these seven are both free and excellent. 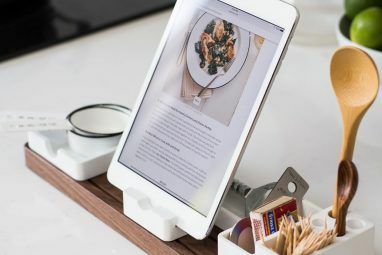 Read More , even without breaking the bank 4 Websites For Affordable Recipes That Won't Break the Bank 4 Websites For Affordable Recipes That Won't Break the Bank Want to save a few hundred dollars every month? Stop eating out and start cooking! By cooking for yourself, you eat healthier and save money, it could even become a fun and relaxing hobby. Read More , are widely available, but high-quality diabetes-centric alternatives are a little more scarce. Fortunately, many diabetics have decided to take matters into their own hands by creating websites, tutorials, books, and even apps designed to guide someone when cooking with diabetics in mind. Interested? Here are some of the better ones out there. 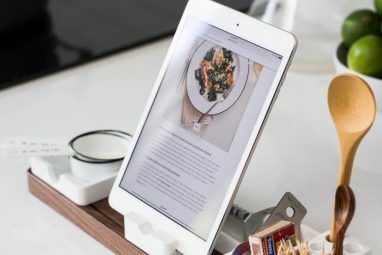 AllRecipes, already a popular and widely used resource The 7 Best Online Cooking Guides for the Beginner Cook The 7 Best Online Cooking Guides for the Beginner Cook You can learn how to be a great cook. These cooking guides for the beginner cook are few of the best places to start. Read More for anyone looking for recipes and meal suggestions, has a specific section for people with diabetes. As with the rest of the site, the meal plans, recipes, and additional tips provided by users who have tried the recipes themselves are of great quality, with an abundance of recipes suited to a variety of different palates. After registering a free account with the site, you can save your favorite recipes and find them again with ease. Diabetic Living [No Longer Available], a site devoted to assisting diabetic patients and their loved ones, features diabetes-friendly recipes for different occasions and foods of different cultures. Writers on the site also put up posts to help diabetes patients through the lifestyle changes that may come with a diagnosis, or even rating potential substitutes in recipes (like sugar substitutes when baking). The American Diabetes Association runs a website featuring incredibly healthy and delicious recipes for all types of patients. Vegetarian, budget-conscious, foodie, and busy diabetes patients can all find recipes that are tailor-fitted for their situations. Gluten-free recipes are also available. Finally, Diabetic Gourmet Magazine features recipes for appetizers, breakfasts, and even breads and muffins, which are normally off-limits to many diabetes patients. The University of Illinois created Recipes for Diabetes, which features over 140 recipes and is available for free in the App Store. Along with detailed instructions for each recipe, approximate nutritional values and analyses are provided as well. Carbohydrate units are also included. 460 Diabetic Recipes [No Longer Available], also available for free in the Google Play Store, includes both written and video recipes for 460 different dishes, treats, and drinks. The recipes can be browsed offline, and notes can also be written and saved within the app. Finally there’s iCookbook Diabetic [No Longer Available], a free app, developed by Publications International and available in the App Store, that features hundreds of base recipes. The recipes included in the app can be adjusted based on servings in each meal. Nutritional information is readily available for each of the recipes as well. More advanced recipes can be purchased for a dollar or two, and they’re sorted by difficulty for your convenience. So maybe there comes a night when you don’t have a recipe at hand to follow. Perhaps you just have to whip something up using whatever odds and ends you have available. In this case, trying to stay diabetes-friendly can be challenging. But with a few tips, it’s easier than many of us would think. 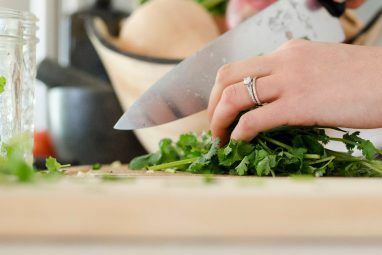 The biggest priority when cooking for someone with diabetes is minimizing the consumption of simple carbohydrates, sodium, and sugar as much as possible. Processed meats, like deli meat, ham, or hot dogs, should generally be avoided. Leaner meats — such as turkey, chicken, and fish — are preferable to fatty meats like pork or beef. Seafood is actually a great choice for diabetes patients as it is flavorful while containing essential vitamins and nutrients. Salmon and mackerel are some of the more popular picks. Cauliflower is touted as one of the best vegetables anyone can have in their arsenal when cooking for diabetes. Cauliflower can be baked with herbs, mashed like mashed potatoes, or even cut up and made into an alternate version of macaroni and cheese. Zucchini can be cut into fine strands and served as pasta. Trans fats should be completely avoided and saturated fats severely limited, so consider trying trans-fat-free margarine, spreads, or shortening rather than lard, butter, or hydrogenated shortening. For any sauce recipe that requires whole milk or cream, cornstarch and skim milk work just as well. Evaporated skim milk makes a great substitute when preparing cream sauces too. Finally, nutritionists recommend that half of the food consumed at meals be vegetables. Steaming vegetables in low-sodium chicken or vegetable broth can add a flavorful kick to any meal. Also, try seasoning with fresh herbs or spices rather than salt. While the sites, apps, and tips here are intended for use by diabetes patients, the information they provide is also useful for anyone seeking a well-balanced diet low in sodium, sugar, and fat. Such diets have been shown to reduce the risk of Type-2 Diabetes, heart disease, stroke, and high blood pressure. Long story short, a bit of regular exercise coupled with healthy eating can really reduce your risk of some serious health issues 4 Serious Health Issues From Sitting Too Long & How To Avoid Them 4 Serious Health Issues From Sitting Too Long & How To Avoid Them When you work at any job that requires long hours sitting at a computer - programming, accounting, writing - it is very easy to stay in that one position for eight to nine working hours... Read More . Please only adopt a dietary change under the supervision of a licensed specialist or primary care physician. Do you have any experience cooking for diabetics? Know of any other helpful resources? Leave a comment below and tell me about it! It's a very useful video really I have learned alot to see this video and and got some easy tips for good health and this video is very helpful for me :) Really it's a very nice video you made it. If You Do Not Have A Secret Desire To Become A Sumo Wrestler, And Eat Food Low On Artificial Sugar, Salt And Alcohol, Then Going Wrong Is Not That Easy. Quit with the saturated fat is bad preaching. What is bad is consuming lots of simple carbs and vegetable oils. Research is showing time and time again that vegetable oil, particularly soy bean oil, is very bad for people. It is very bad for the thyroid. It can cause metabolic issues that make one gain weight easier on less calories. Butter is much healthier than margarine. Leave a tub of margarine sitting on the table for over a year and guess what it doesn't go bad as microbes won't even touch the stuff. You want to track down the obesity and diabetes epidemic in the US you need look no further than when Crisco replaced lard and margarine replaced butter en masse. This was particularly bad in the poor areas of the US because both are cheaper. Try to buy something prepackaged that doesn't contain soy bean oil, I dare you. Guidelines have been wrong for years with the soy bean lobby getting their thyroid attacking product into everything we eat. I totally agree that butter is healthier than margarine, and lard healthier than vegetable oil shortenings, lots of studies provided relevant evidence. On the other hand, although research has made clear that the healthier vegetable oil is the olive oil, I struggle to find reliable information against soybean oil, with soya beans quite often referred as a healthy food. Could you please provide any reliable source of info on soybean oil?